In layered prose and with thoughtful, accessible scholarship, Aslan narrates the history of religion as one long and remarkably cohesive attempt to understand the divine by giving it human traits and emotions. 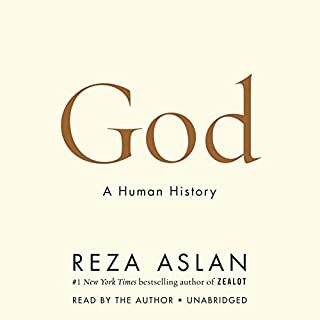 According to Aslan, this innate desire to humanize God is hardwired in our brains, making it a central feature of nearly every religious tradition. As Aslan writes, "Whether we are aware of it or not, and regardless if we are believers or not, what the vast majority of us think about when we think about God is a divine version of ourselves." Again Reza did a great job. 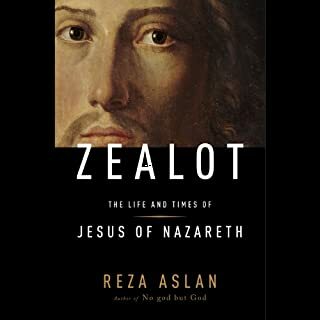 It is hard for me to understand how somebody as intelligent as Reza can be so close minded when it comes to politics. Nevertheless I enjoy all of his books as they are well researched and honest. Although I consider him a radical left winger I, unlike him, am open minded enough to give his books the credit they deserve. Besides in the end of the book he describes all of us as gods. Sounds good to me. 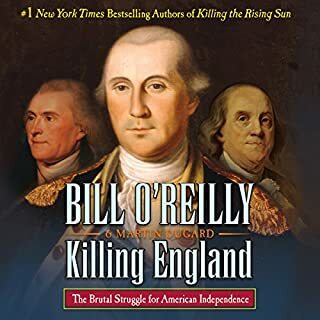 The breathtaking latest installment in Bill O'Reilly and Martin Dugard's mega-best-selling Killing series transports listeners to the most important era in our nation's history, the Revolutionary War. Told through the eyes of George Washington, Benjamin Franklin, Thomas Jefferson, and Great Britain's King George III, Killing England chronicles the path to independence in gripping detail, taking the listener from the battlefields of America to the royal courts of Europe. I Love the Killing books. I think it is better when a person is the subject. I never realized how much of an impact Truman had on the world. Thrust into the middle of historic times at the end of World War II he helped shape the world at a time when it was most delicate. 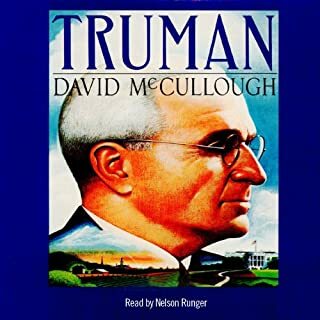 With recent News events I found it interesting that dirty politics is nothing now-Truman was a true politician in the not so flattering sense of the word. I'm going to miss listening to this book. Most people who resist logical thought in baseball preach "tradition" and "respecting the game". But many of baseball's traditions go back to the 19th century, when the pitcher's job was to provide the batter with a ball he could hit and fielders played without gloves. 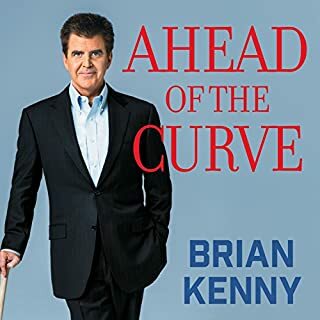 Instead of fearing change, Brian Kenny wants fans to think critically, reject outmoded groupthink, and embrace the changes that have come with the "sabermetric era". I always liked brian's style. Easy to "read" and I am so happy he narrated. Second time listening to this and still in awe. Well researched and the description of the battle is vivid. How did Davy Crockett save President Jackson's life only to end up dying at the Alamo? Was the Lone Ranger based on a real lawman-and was he an African American? What amazing detective work led to the capture of Black Bart, the "gentleman bandit" and one of the west's most famous stagecoach robbers? Did Butch Cassidy and the Sundance Kid really die in a hail of bullets in South America? Generations of Americans have grown up on TV shows, movies and books about these western icons. But what really happened in the Wild West? 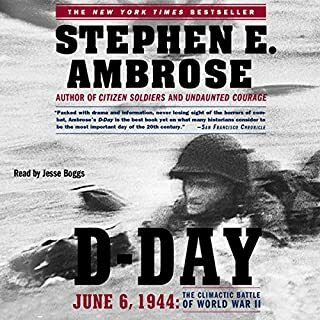 All the stories you think you know, and others that will astonish you, are here--some heroic, some brutal and bloody, all riveting. 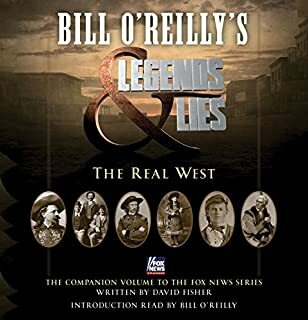 Included are the ten legends featured in Bill O'Reilly's Legends and Lies docuseries -from Kit Carson to Jesse James, Wild Bill Hickok to Doc Holliday-- accompanied by two bonus chapters on Daniel Boone and Buffalo Bill and Annie Oakley. Great listen . Bill O'reilly has a niche. Sadly depicts the horrors we inflicted on the native Americans. I love that Bill does not add politics to the history books. Unfortunately this allows for the truth to be told which usually hurts. Fun learning about the names I heard of but did not fully know. Again so sad what we did the the native Americans. By early 1945 the destruction of the German Nazi State seems certain. The Allied forces, led by American generals George S. Patton and Dwight D. Eisenhower, are gaining control of Europe, leaving German leaders scrambling. Facing defeat, Adolf Hitler flees to a secret bunker with his new wife, Eva Braun, and his beloved dog, Blondi. It is there that all three would meet their ends, thus ending the Third Reich and one of the darkest chapters of history. Good but a "cut and paste" job from other books. Not Organized. 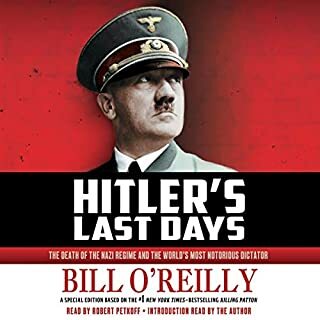 A better title is the end of WWII with emphasis on Hitler. 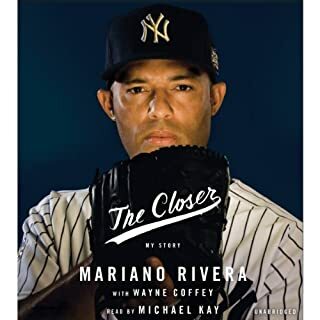 Mariano Rivera, the man who intimidated thousands of batters merely by opening a bullpen door, began his incredible journey as the son of a poor Panamanian fisherman. When first scouted by the Yankees, he didn't even own his own glove. He thought he might make a good mechanic. When discovered, he had never flown in an airplane, had never heard of Babe Ruth, spoke no English, and couldn't imagine Tampa, the city where he was headed to begin a career that would become one of baseball's most iconic. Relive great memories and learn about Mo the man. I already knew the greatness of Mo the closer, I kinda knew of the person he was, religious, etc, but I loved learning how he is a great family man and teammate. What about Michael Kay’s performance did you like? I despise Michael Kay. So much so that it is hard for me to watch a Yankee game when he is calling play by play; however, he was perfect to narrate this book. See, he knows Mo and his inflection was spot on. I hate to say it, but he did the best job of all the books I have listened to. Answered many questions but created many more. I love the authors all in confidence on a controversial topic. No matter what view you have the evidence is largely circumstantial. I would love to hear a debate with an opposing view. 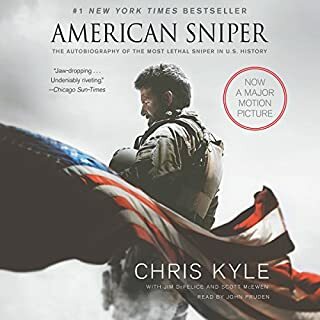 Where does American Sniper rank among all the audiobooks you’ve listened to so far? One of the best. Powerful. The honesty. Chris tells it like it is. Good voice. captures how Chris really sounded.